Osteoporosis is a “silent” disease characterised by weakening of bones, making them more susceptible to fractures, typically in the hip and spine. Elderly people and especially post-menopausal women are at greater risk of developing osteoporosis. The mid to lower back area of the spine is mainly involved in weight- bearing, making these regions of spine more prone to collapse when bone weakness is present. This can lead to spinal (vertebral) compression fractures in these patients. Many of these vertebral compression fractures occur by minimal trauma or by no trauma at all. They can even occur while doing simple activities, like bending or twisting. Symptoms range from severe pain in the back, arms and legs to no pain at all. Most patients suffering from such a fracture may believe that their back pain is just a part of ageing, letting these vertebral compression fractures go undiagnosed. However, a single vertebral fracture significantly increases a person’s risk of further fractures. When multiple fractures occur, it causes the spine to become rounded and bent forward resulting in loss of height and a hunchback appearance. This forward curvature of the spine negatively affects the quality of life of the patient and makes it more difficult for them to breathe, eat, walk, or sleep. Vertebral compression fractures can also occur in patients suffering from conditions such as metastatic tumour, multiple myeloma, and vertebral haemangioma. Kyphooplasty is a minimally invasive procedure which is performed to reduce or eliminate pain caused by vertebral compression fracture. 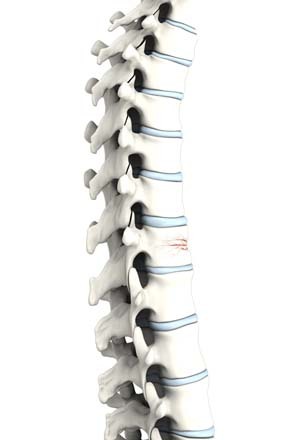 It stabilises the fracture and prevents further collapse of the vertebra averting deformity. 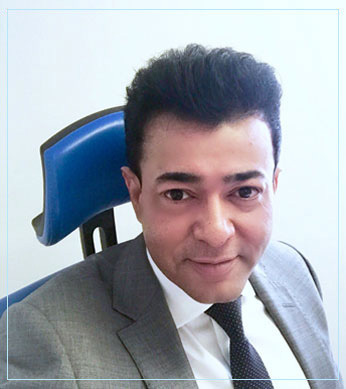 The Kyphoplasty procedure involves creation of space thereby partially restoring the vertebral height using a balloon followed by safe injection of bone cement into the fractured vertebra under high pressure. The procedure is done under general anaesthesia.Sometimes spinal cord monitoring is performed to make the procedure even more safer. You will be lying face down on the operating table. Your doctor will make a very small 1/2-inch incision in the skin over the fracture site. Under live X-ray guidance, a hollow needle called a trocar is introduced through the back and is positioned within the fractured vertebrae. A ballooon is passed which is then dilated to create enough space for cement injection. Next, bone cement is injected into the area through the trocar under high pressure. After the vertebral body is filled completely with the bone cement, the needle is withdrawn before the cement hardens. X-rays will be done to confirm the effective spread of the bone cement into the fractured vertebra. The skin incision is closed using steri-strips. As with any surgery, some risks can occur. General complications include bleeding, infection, blood clots and reactions to anaesthesia. The specific complications following a thoracic Kyphoplasty include leakage of the bone cement into surrounding soft tissues or veins and damage to the spinal cord or spinal nerves leading to numbness or paralysis. This complication is rare with the advent of modern techniques such as Kyphoplasty and quick setting cement but can still occur.